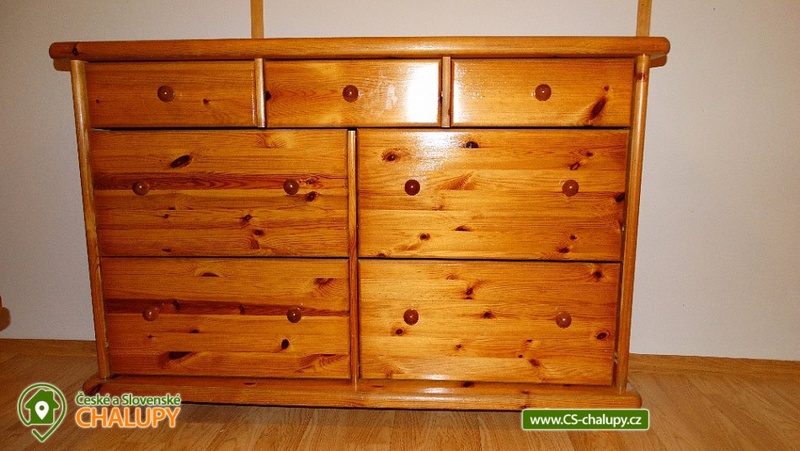 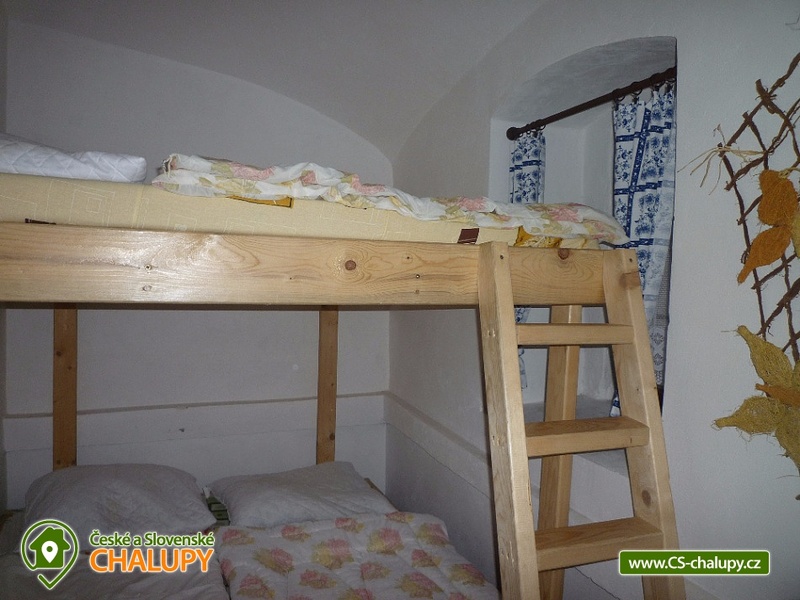 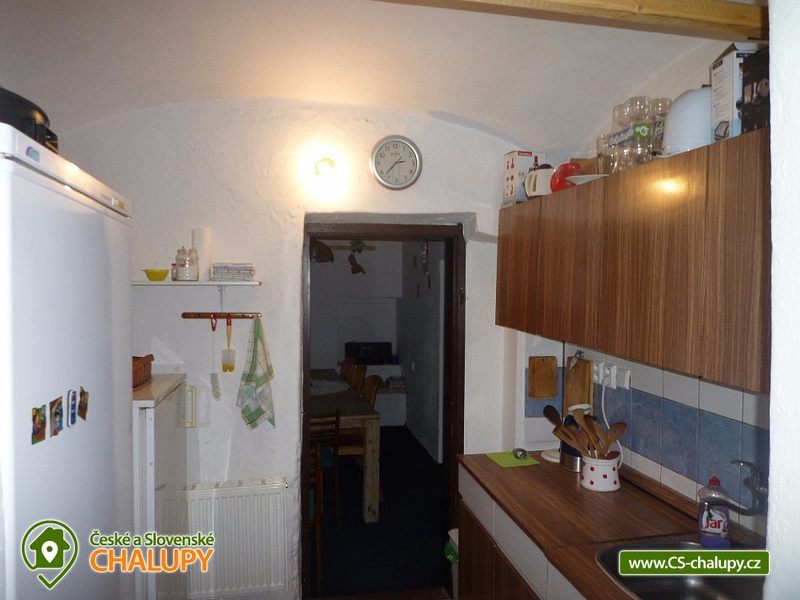 Chalupa Na louka - Štědrákova Lhota - Jeseníky. 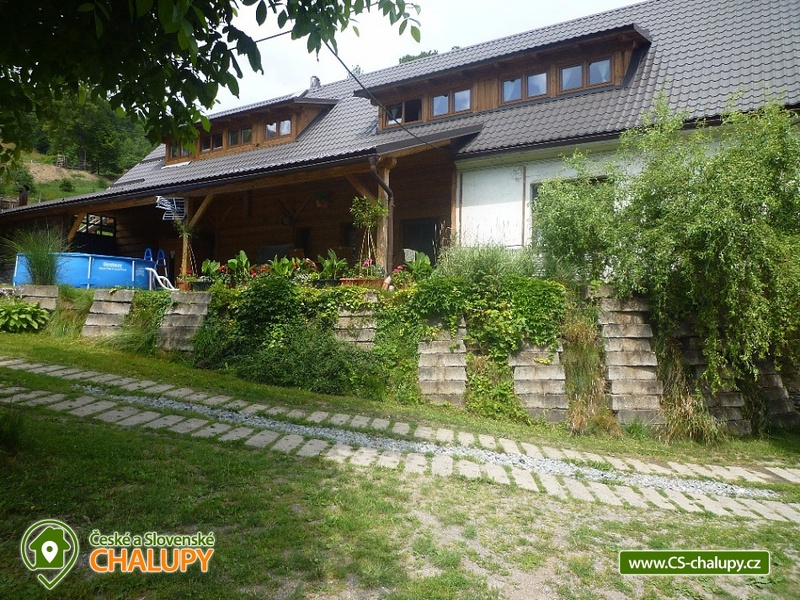 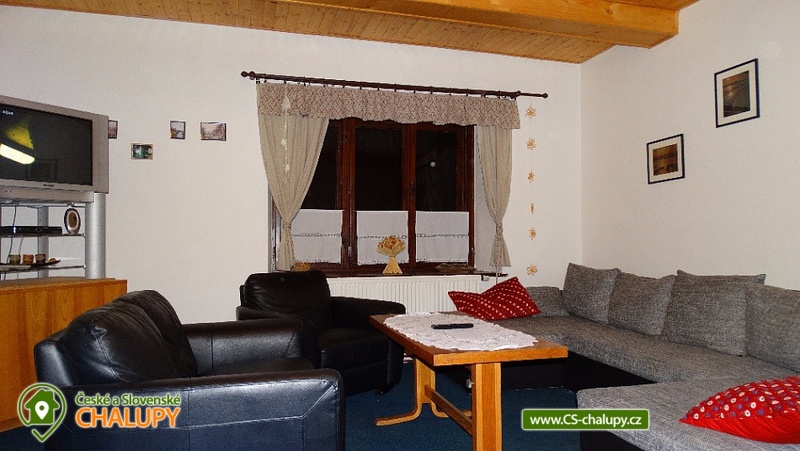 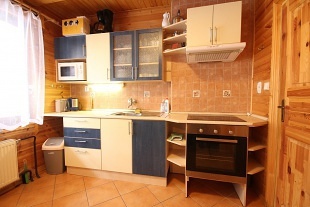 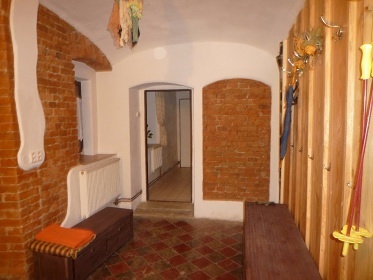 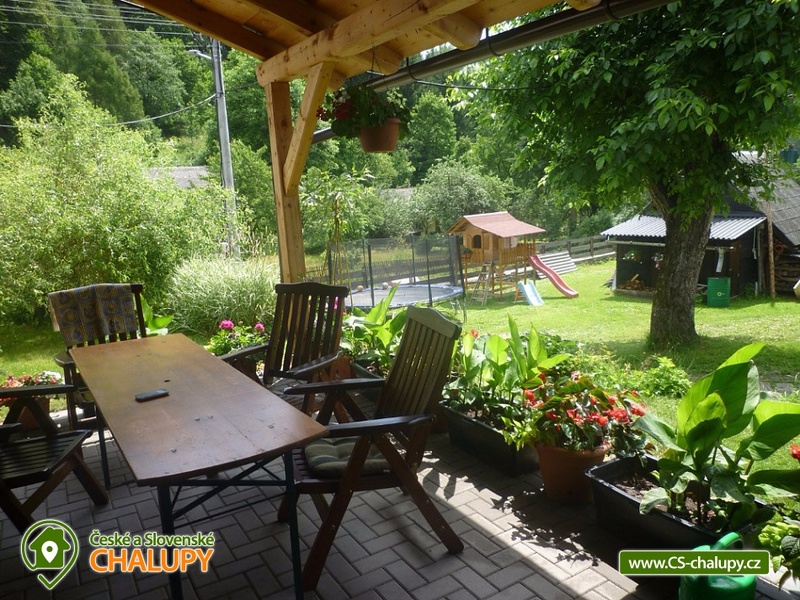 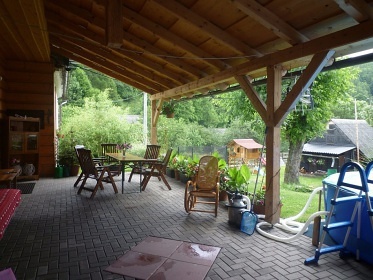 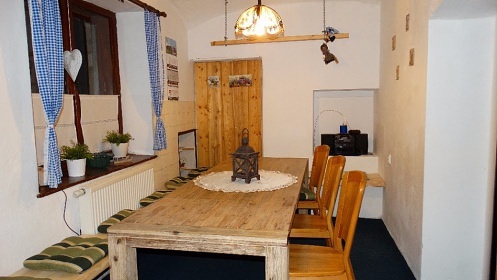 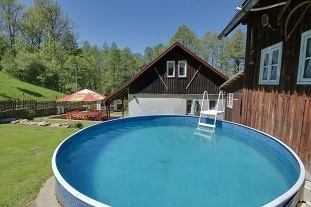 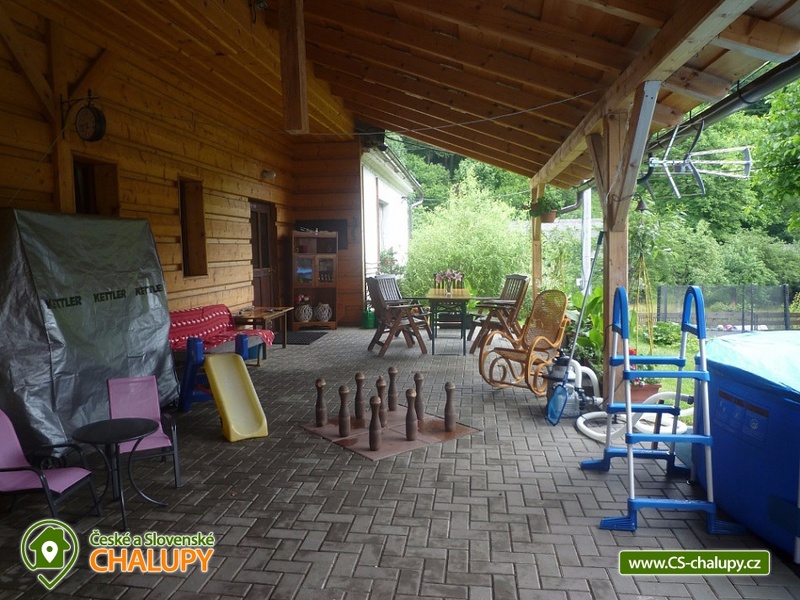 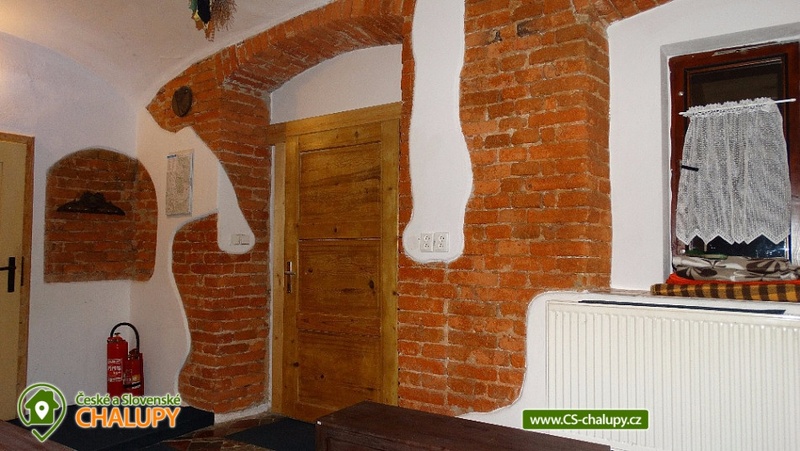 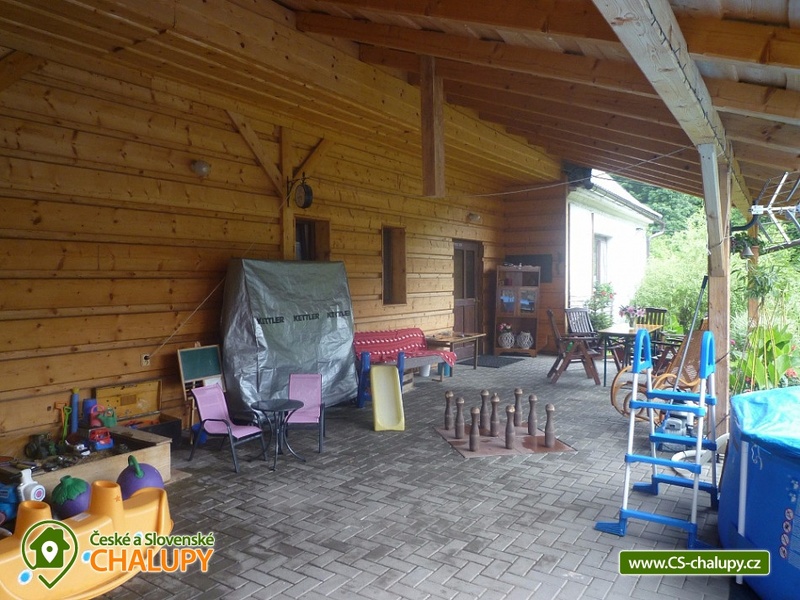 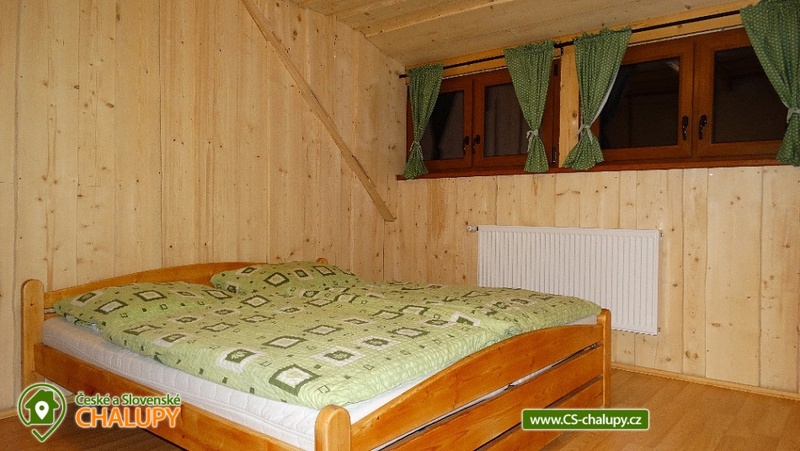 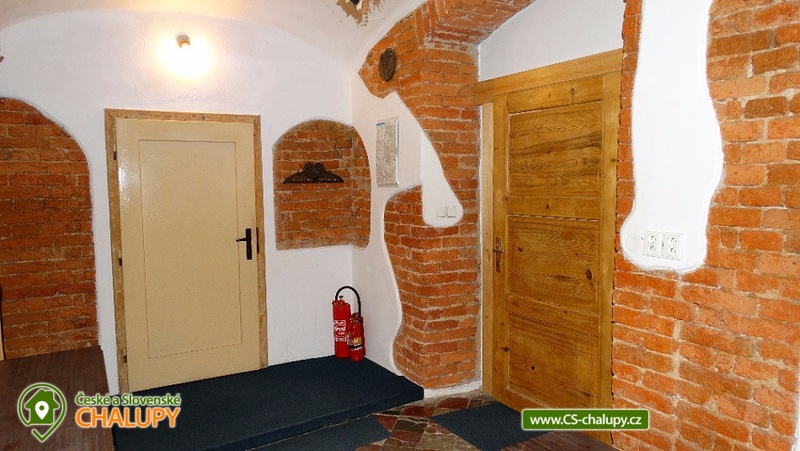 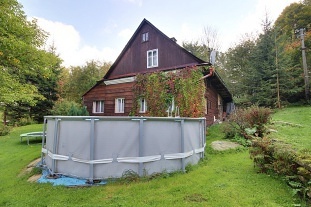 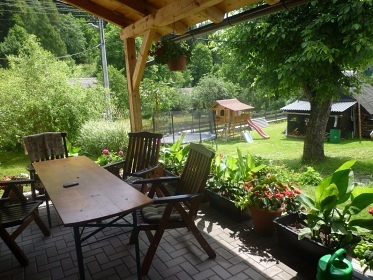 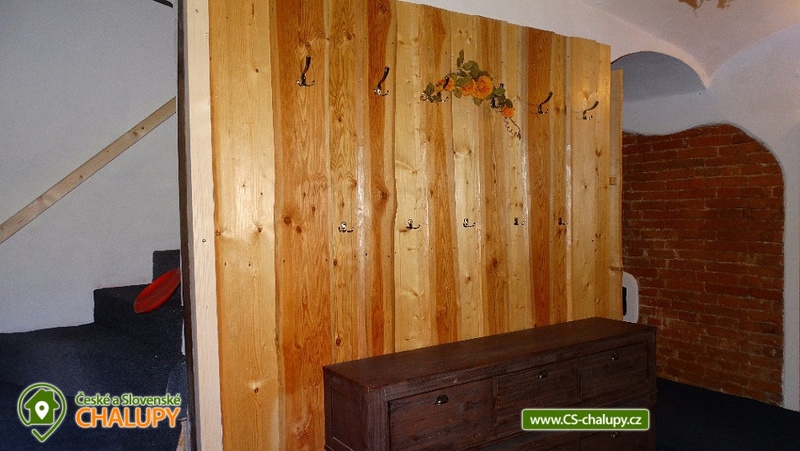 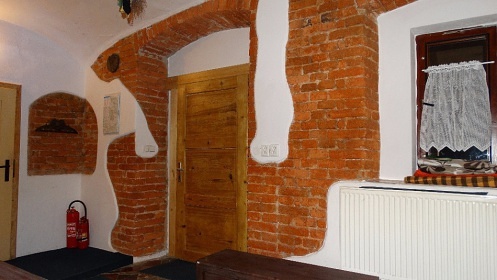 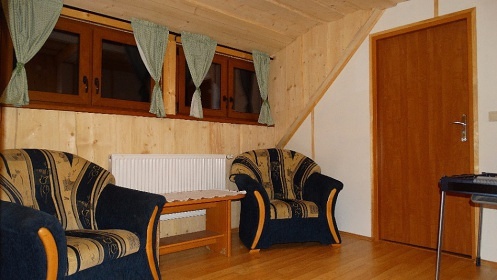 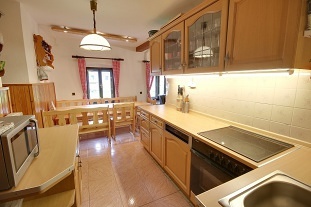 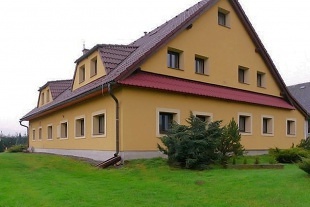 Rent cottage with swimming pool Jeseníky. 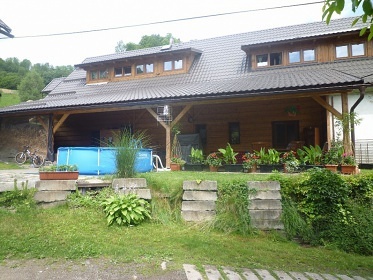 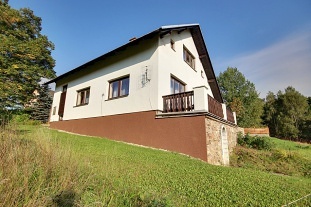 Accommodation cottage near ski lift Štědrákova Lhota, district Šumperk. 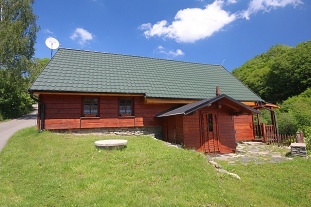 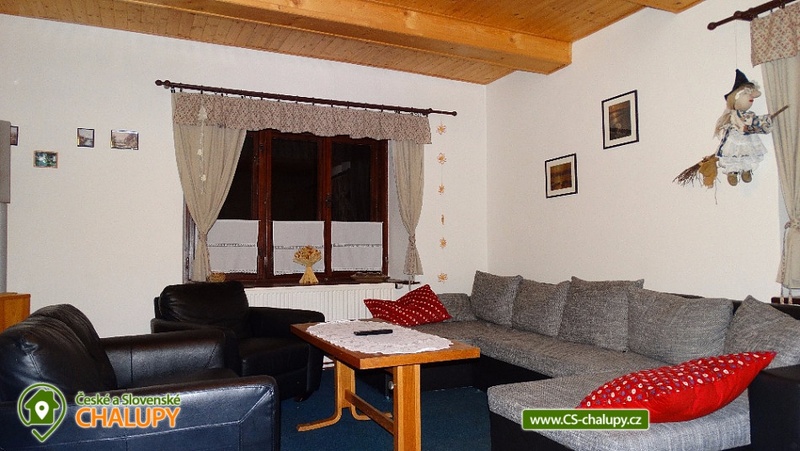 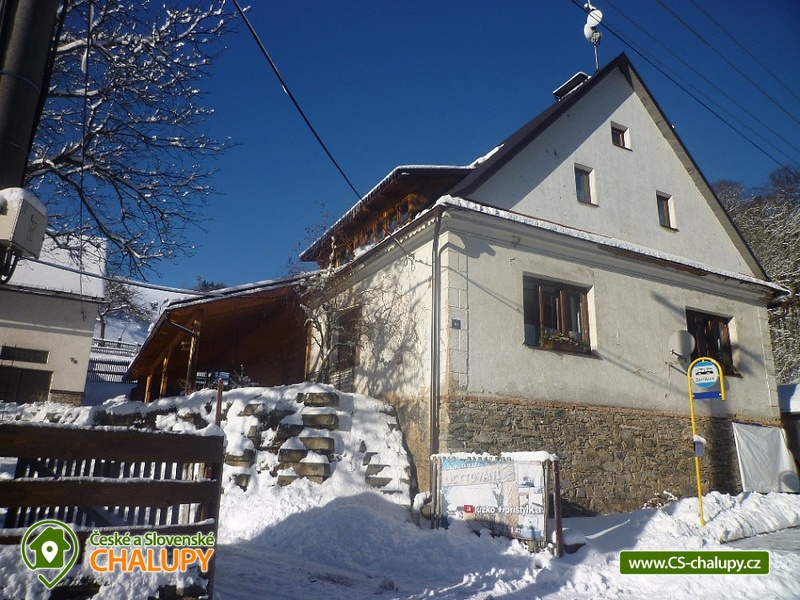 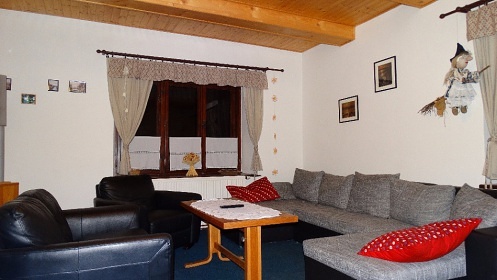 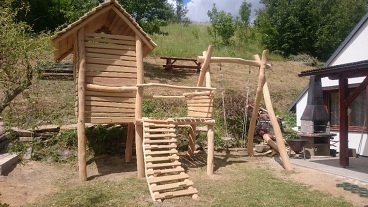 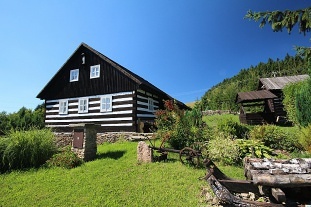 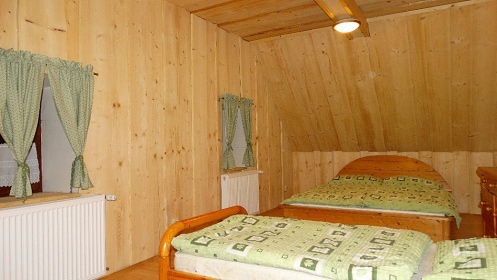 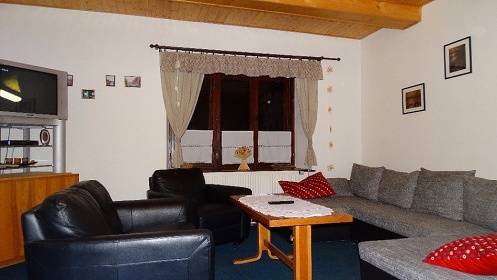 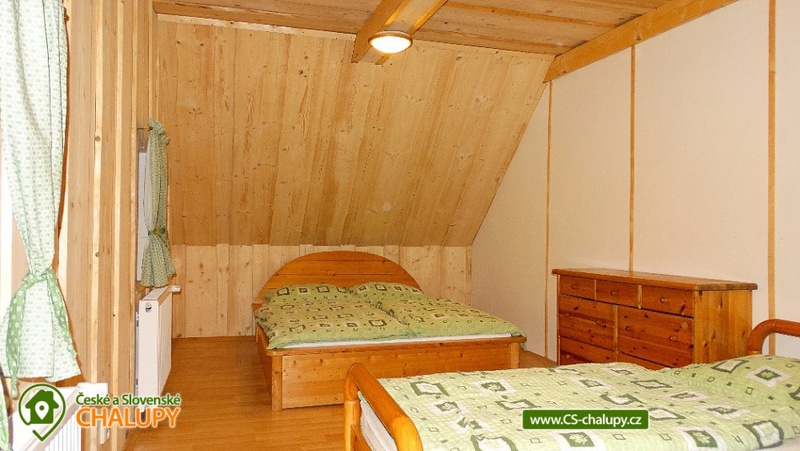 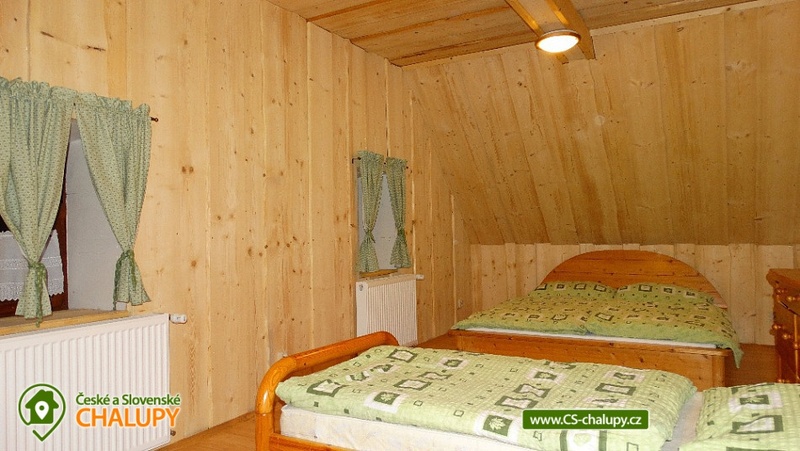 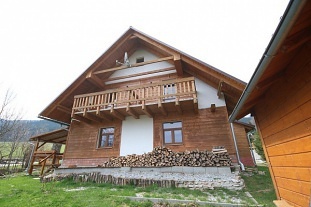 The cottage is located in the middle of the village Štědrákova Lhota and is part of the ski resort Turek. 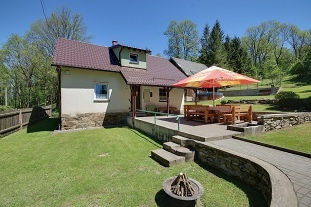 The cottage is on its own partially fenced large grounds. 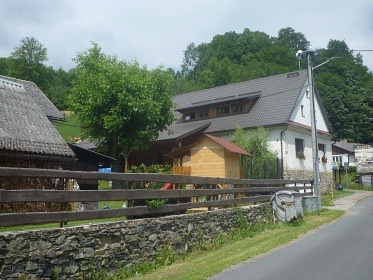 Lhota is about 5 km from the village Ruda nad Moravou, where is the ČD station, then by bus, the stop is right next to the building. 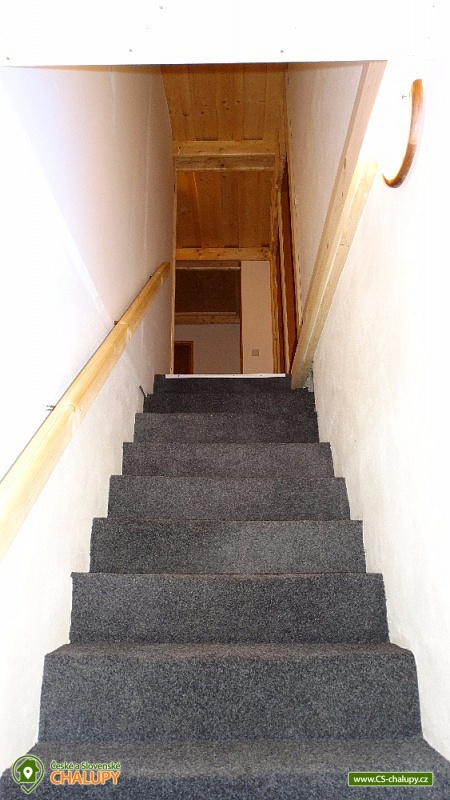 Otherwise, the road is accessible all year round, well maintained in the winter months. 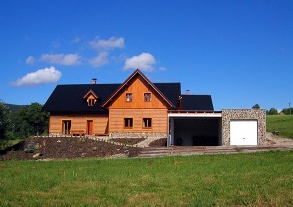 The distance to Šumperk is about 15km. 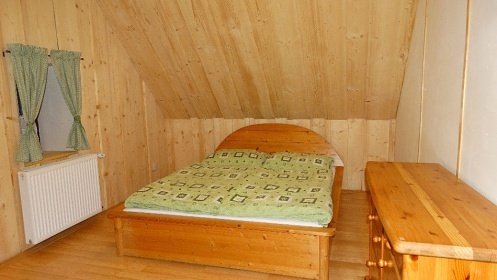 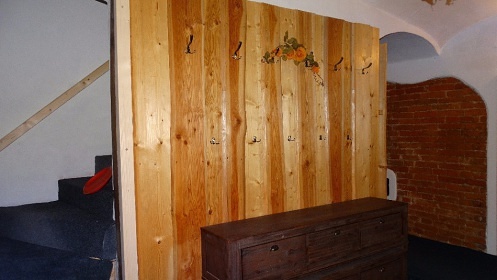 The cottage is equipped for year-round use. 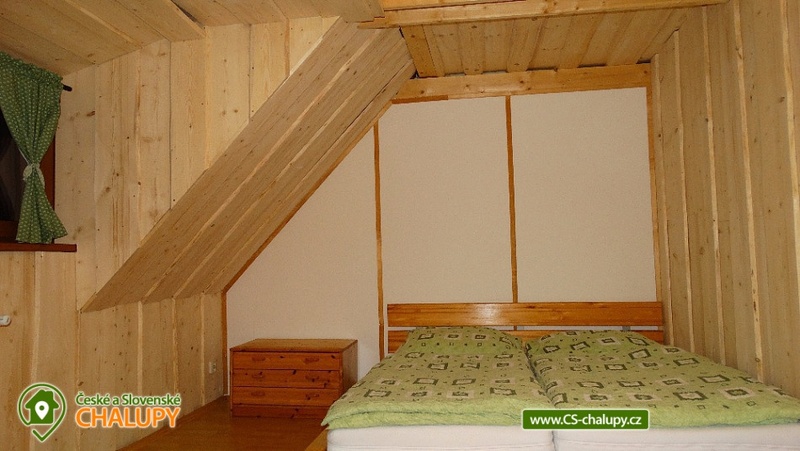 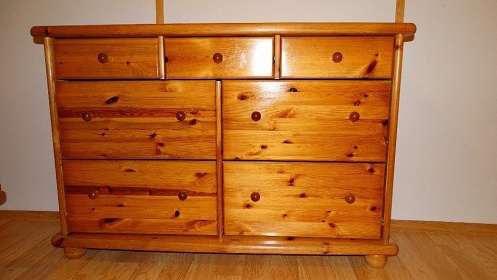 The capacity of the cottage is 19 beds in a total of five bedrooms. 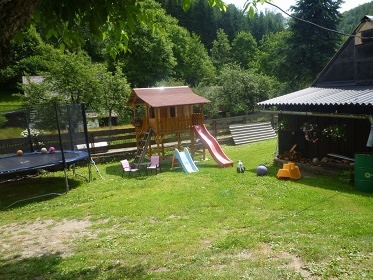 The spacious terrace and rich background is perfect for your family holiday. 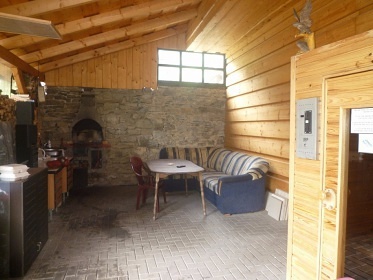 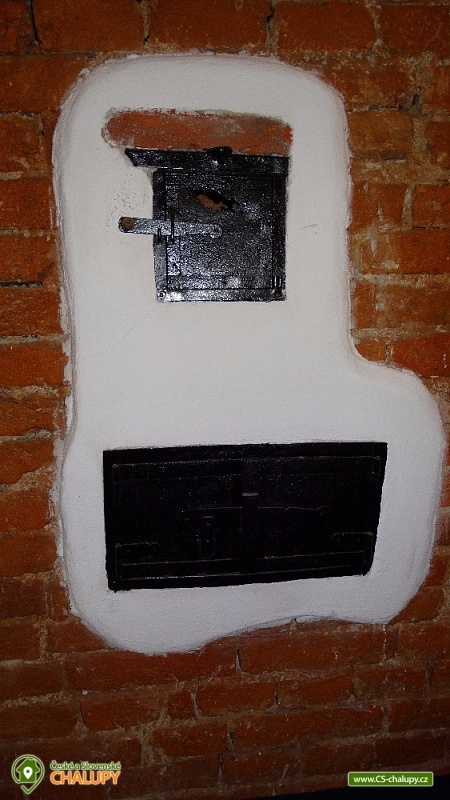 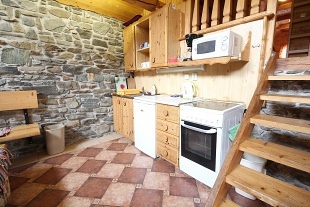 The cottage is equipped with a kitchen with standard equipment (electric cooker with a hot-air oven, 2x with freezer, microwave, kettle, toaster, mixer). There is also a spacious dining room, 2 bedrooms with 4 beds + possibility of extra beds, a large living room with TV and satellite. 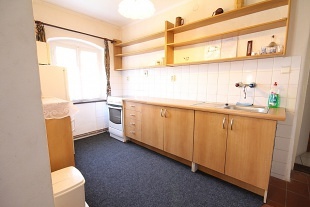 Bathroom with bathtub, washbasin and washing machine, 2 separate WCs. 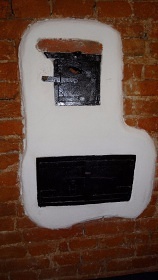 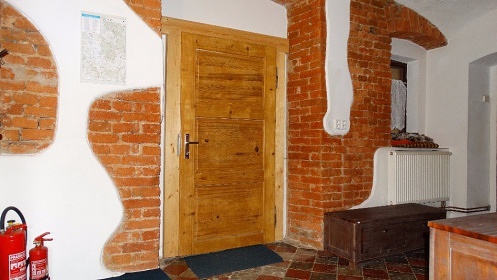 Immediately after entering the cottage you enter the spacious corridor. It is possible to save skis here. 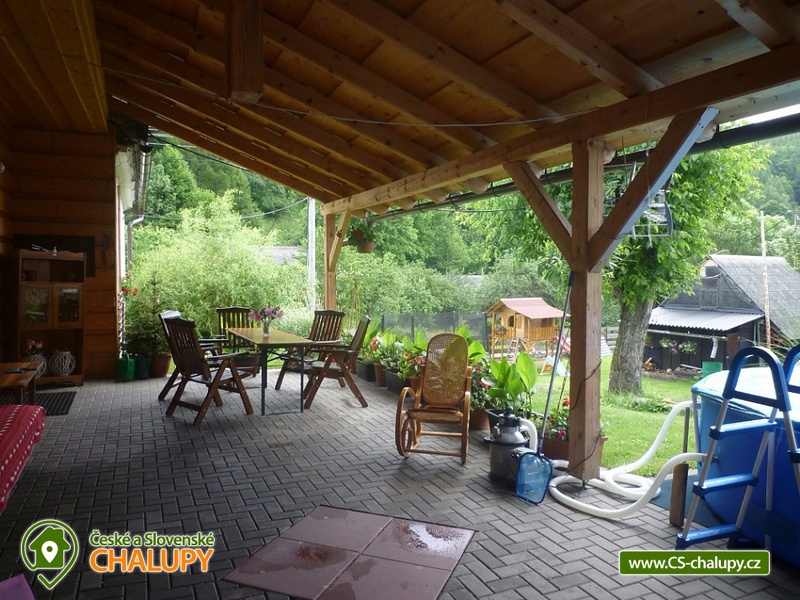 Beautiful large pergola in front of the cottage entrance. In the attic there are new 3 bedrooms, another kitchen corner and a new spacious bathroom with large shower and toilet, wide corridor with sitting area. 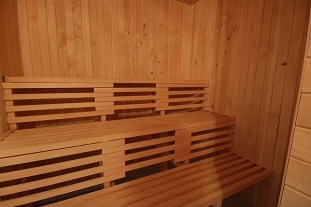 INFRASAUNA for 2 persons located on the terrace. 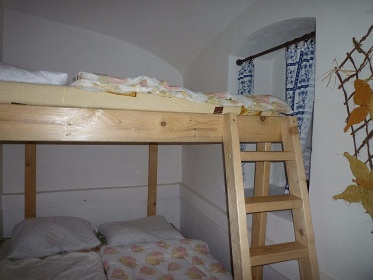 Bedroom on the ground floor: 1x 4 beds + possibility of a bed or extra bed, 1x 4 beds (a spacious bunk bed to measure over the whole width of the room.) 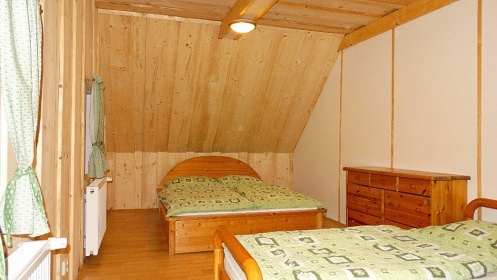 Sleeps 3 + 2 adults Sleeping in the attic: 1x 3 beds, 2x 4 beds + Possibility of extra beds or cots In the attic there is also a kitchen corner with another refrigerator, a spacious corridor with a sitting area Sanitary facilities: 1x bought with a bathtub and sink, automatic washing machine 2x separate toilet on the floor another new spacious bathroom - shower, toilet Most of the rooms are equipped with children's football, transport carpet, electronic darts in the dining room, grill, Russian skittles and sandpit, All under the roof can be used even in the winter season, especially in winter you will appreciate the easy accessibility of the ski lifts S Király Turek, which is next to the cottage (50m). 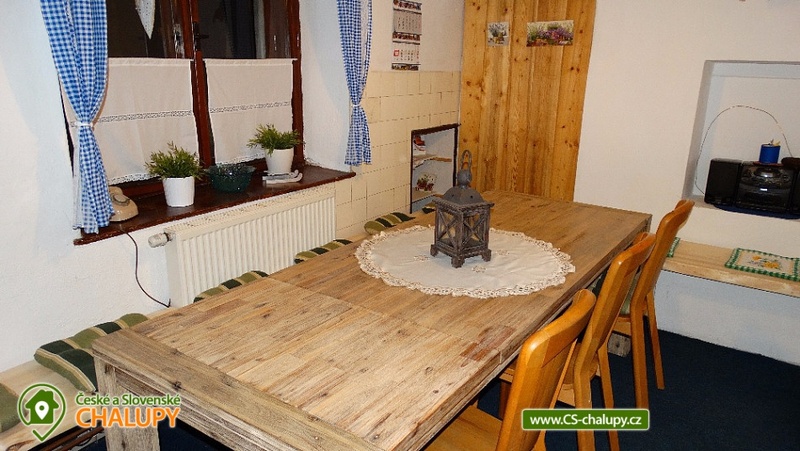 Additional information Cena je orientační, vždy Vám ochotně spočítáme kalkulaci přímo pro Vás, budeme vycházet z počtu osob, požadovaného termínu a jeho délky. 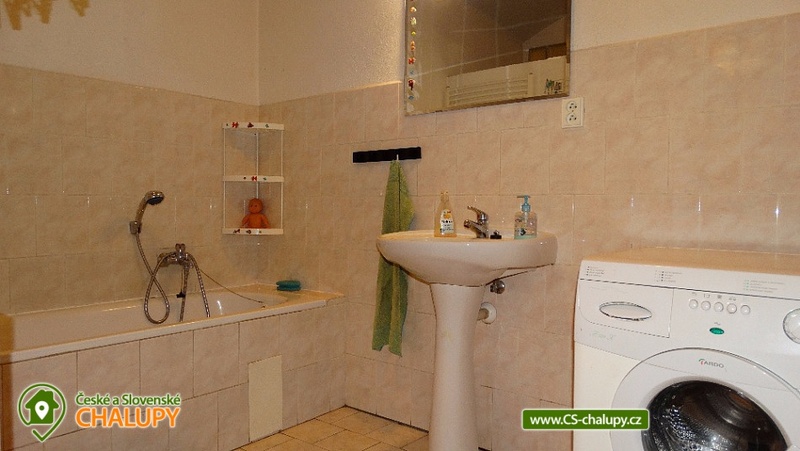 Pokud není dohodnuto předem jinak, záloha ve výši 50% ceny je splatná do týdne po objednání pobytu a doplatek pobytu 50% je splatný do 30 - ti dnů před nástupem pobytu. 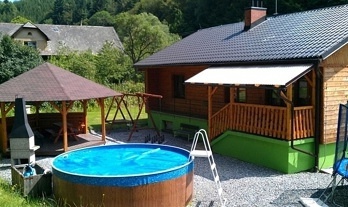 Additional information Pro zimní sezonu je vybírán příplatek 200 Kč/den/chalupu za topení. 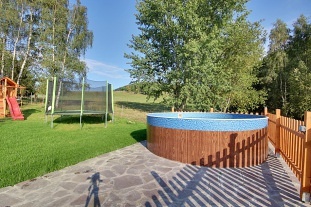 Storno poplatky: 1) Zrušení rezervace více jak 60 dnů před nástupem - vrácení 100% zaplacené zálohy (bude odečten administrační poplatek 100,- Kč). 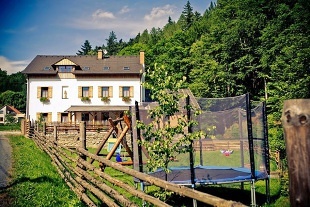 2) Zrušení rezervace v době od 60 dne do 30 dne před rezervovaným termínem - vrácení 50% zaplacené zálohy. 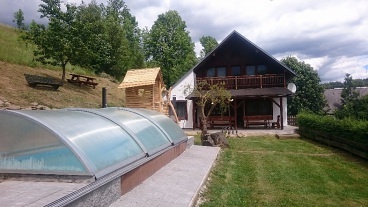 3) Zrušení rezervace v době kratší než 30 dnů před rezervovaným termínem - záloha nebude vrácena.